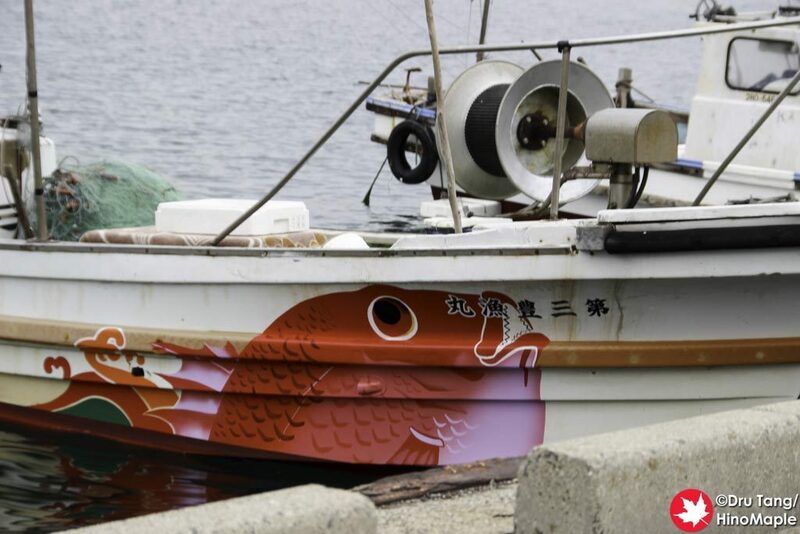 OGI Project is an ongoing project that has created a unique and playful image of Ogijima. 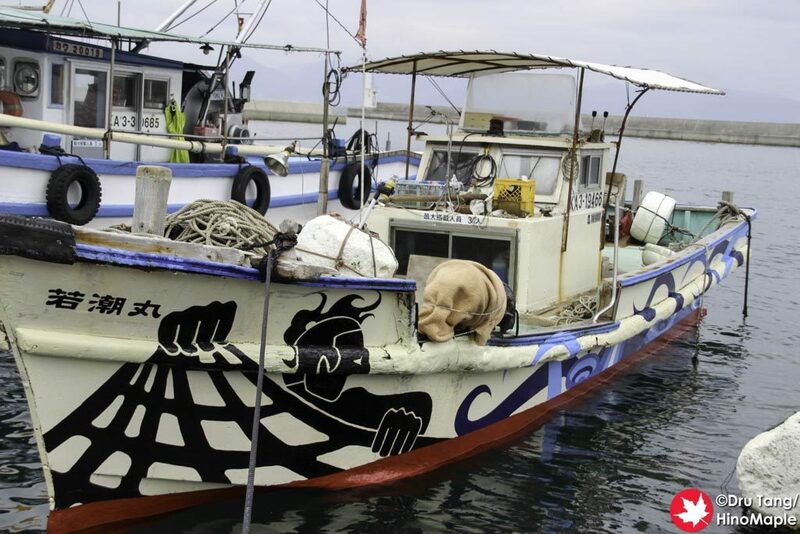 The artwork is focused mostly on the fishing boats and the flags that fly around the island. 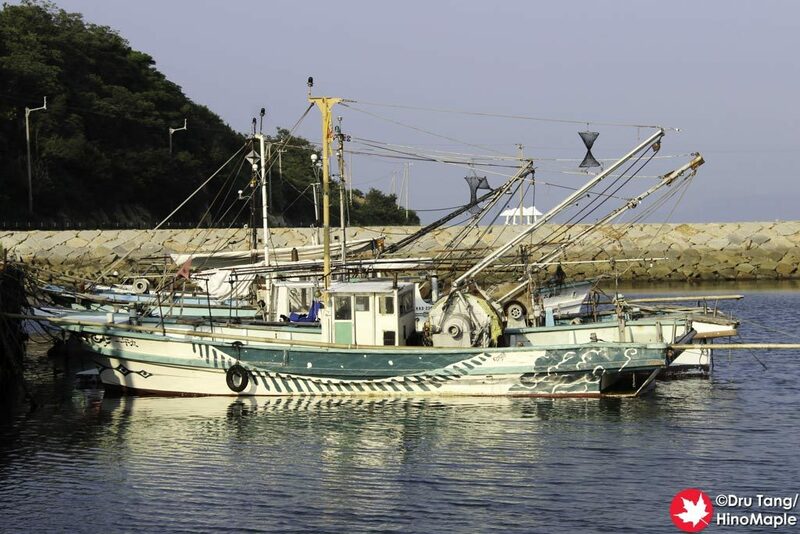 The fishing boats are one of the first things you will see in the wharf. 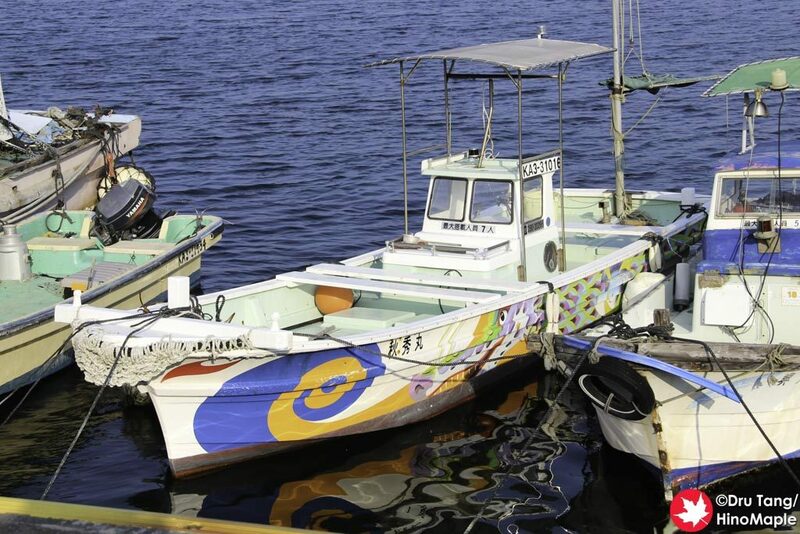 I really fell in love with these boats when I arrived on Ogijima in 2013. 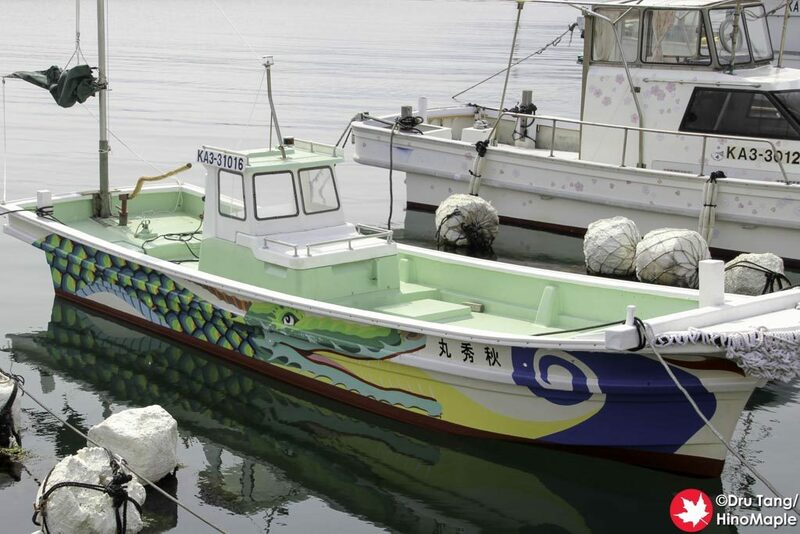 They are wonderfully painted and it really tells you that you are on Ogijima. 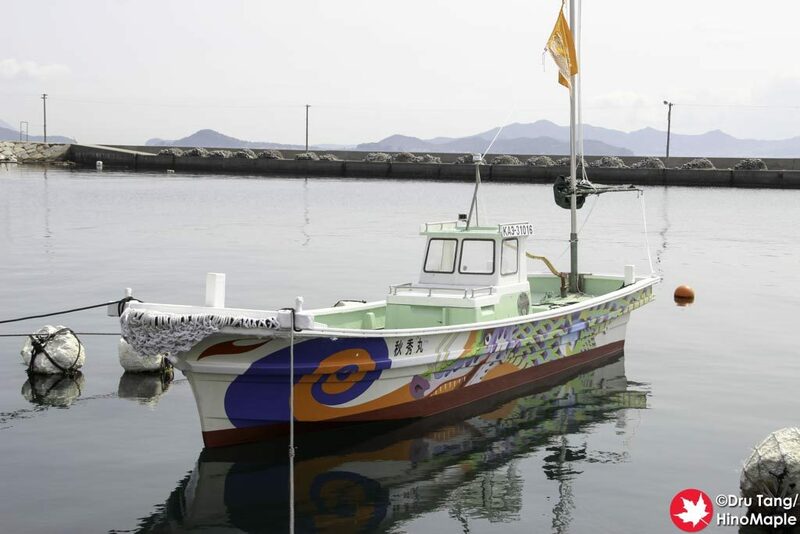 There are several fishing boats that have been painted for the Setouchi Triennale. 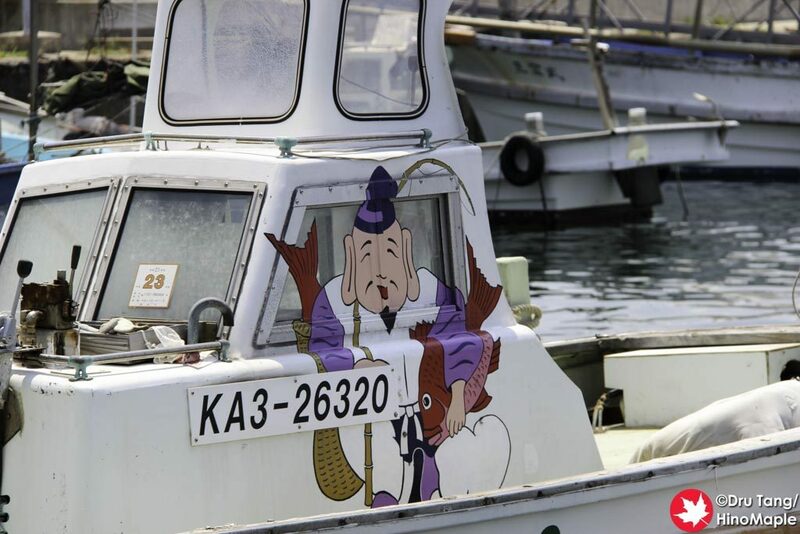 My favourite one is still the most famous one with a picture of the god Ebisu fishing for fish. 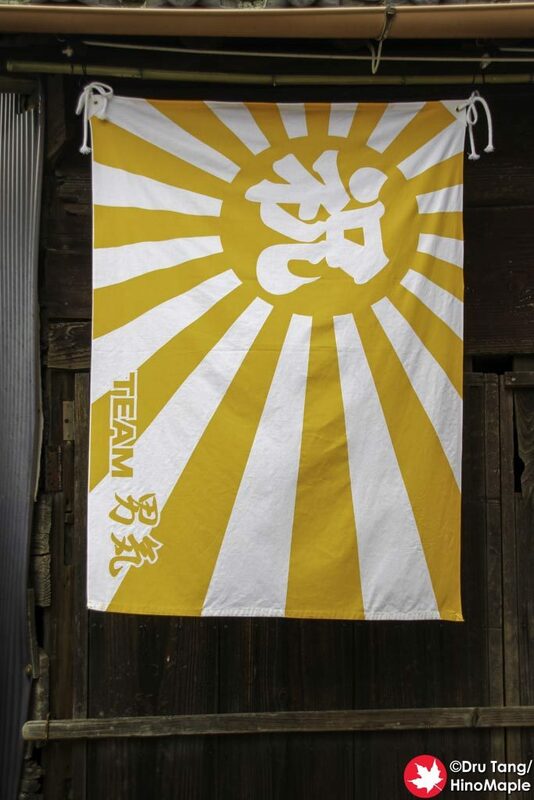 It is one of the most famous images of any of the main gods of Japan. 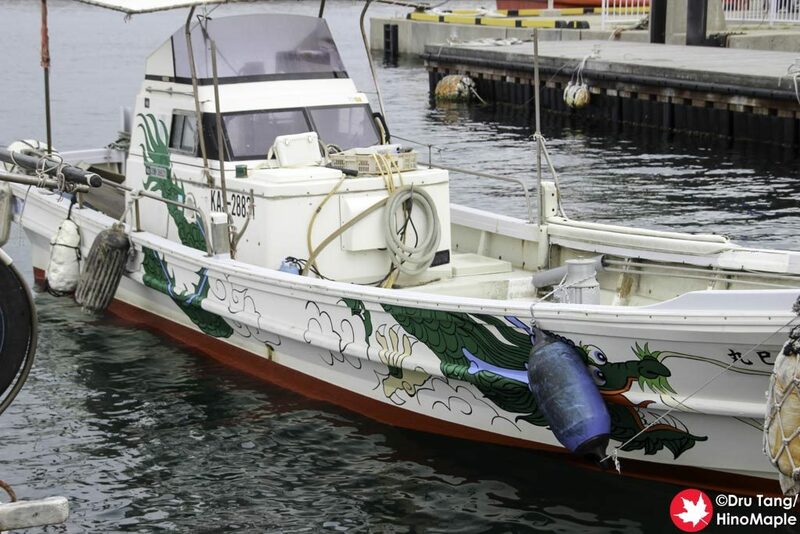 He can easily be seen fishing on a can of Yebisu beer as he is their main character. 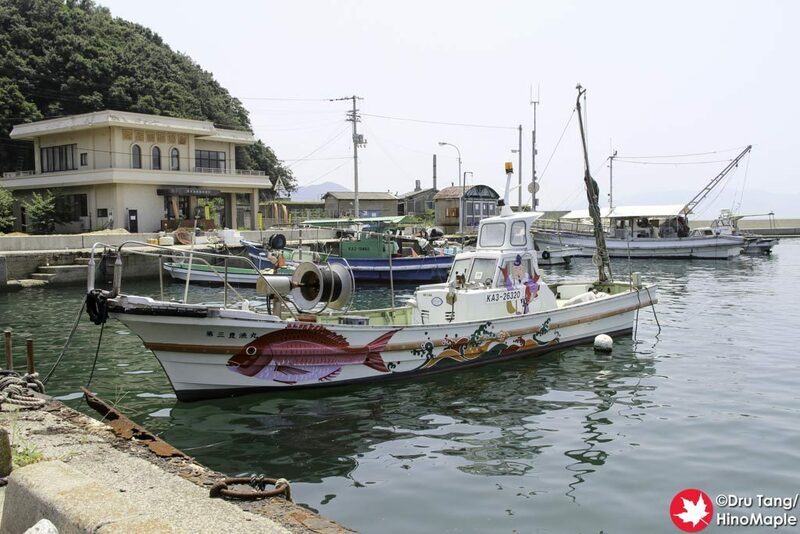 If you don’t see many boats in the main harbour, you should go to the fishing harbour that is located a short walk across the village. You have to pass the school to get there but it is worth a look as it will be nice and quiet. During the Triennale, you will usually see most or all of them. 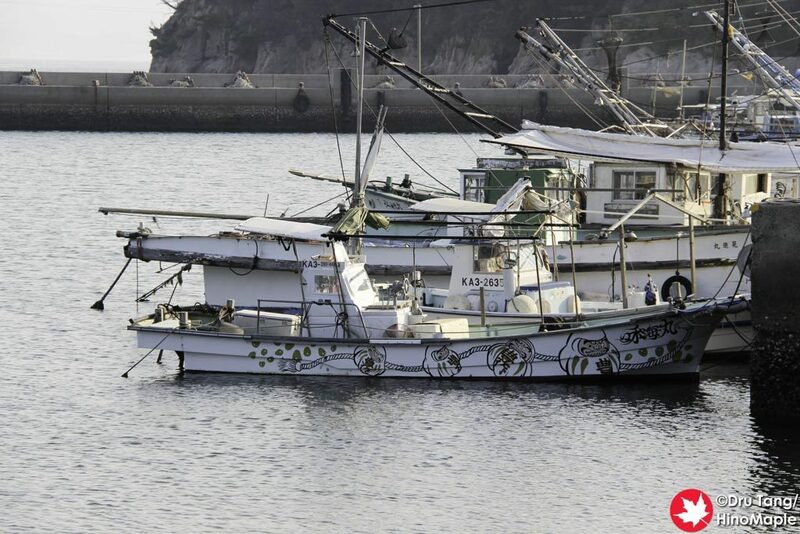 They tend to be in either the main harbour or the fishing harbour. Outside the Triennale it may be difficult to see them as they are still regular fishing boats. 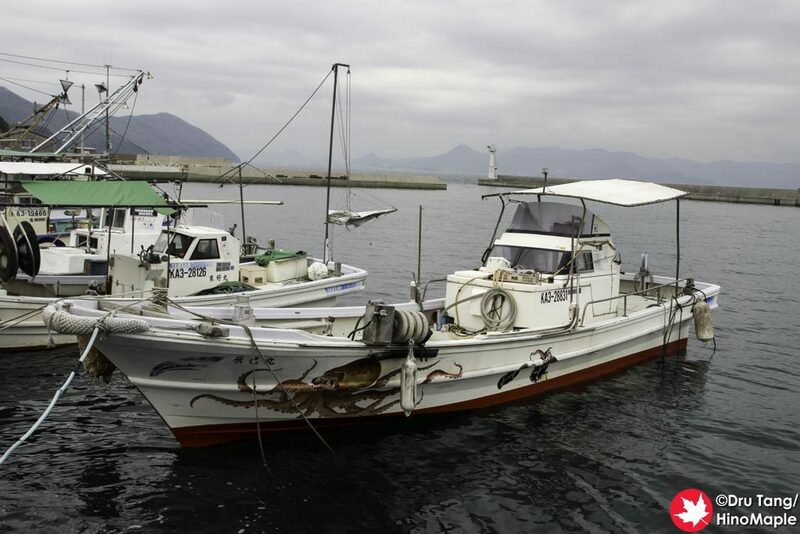 You will probably see at least one of them in one of the harbours regardless of when you visit. 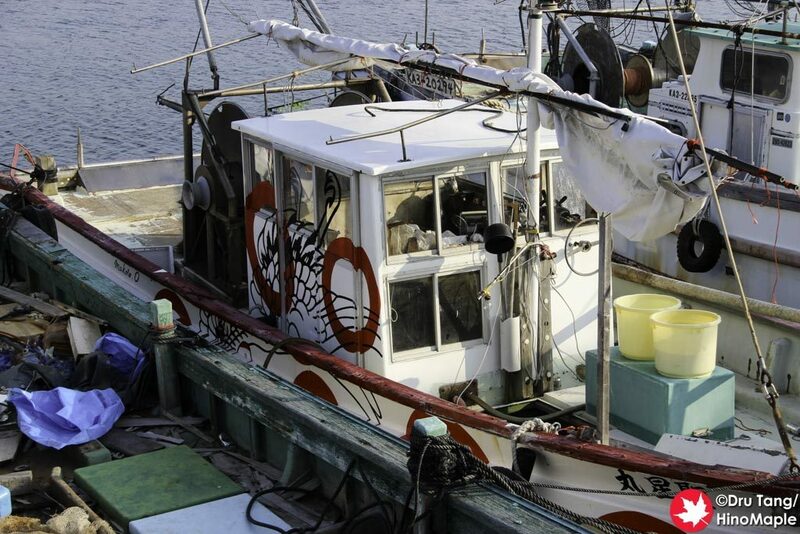 The flags are also a mainstay of the OGI Project. 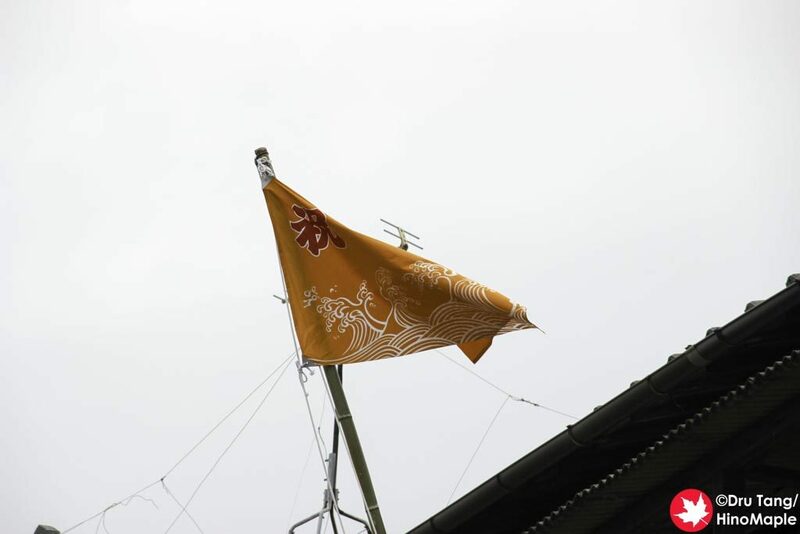 They created various colourful flags that are present around Ogijima. 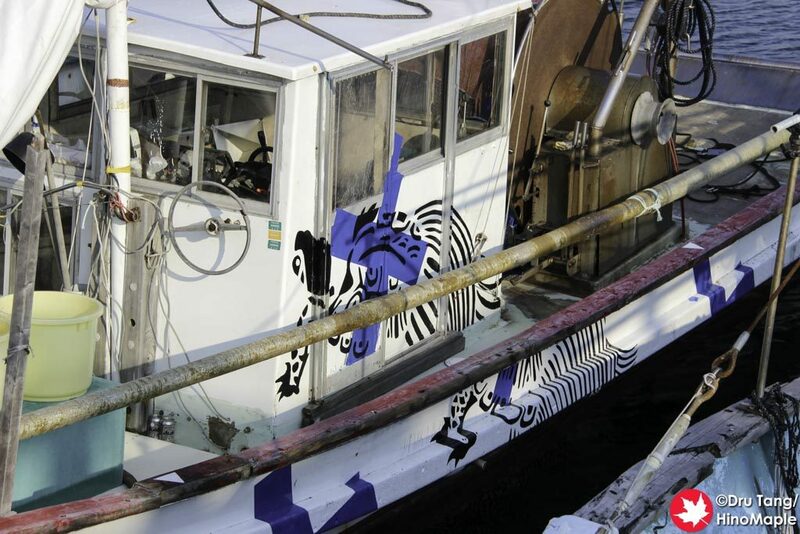 In 2013 they were everywhere and it really created a festive atmosphere during the Triennale. For 2016, I would assume many of the flags have gotten a bit old so they are no longer flying. 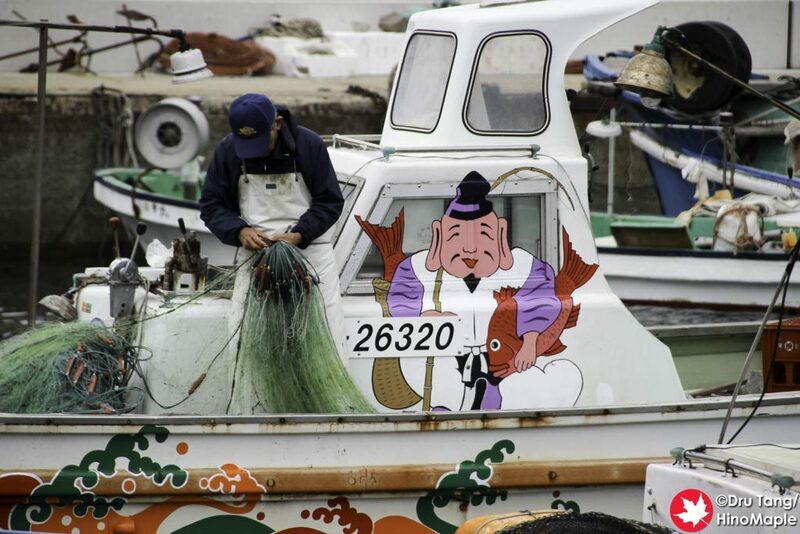 You can still see them around the village and they still invoke a good sense of community on Ogijima. The OGI Project is a wonderful project that really unifies the island. I am sad that they don’t do a lot more but I’m sure there are reasons for this that is not the fault of the artists. 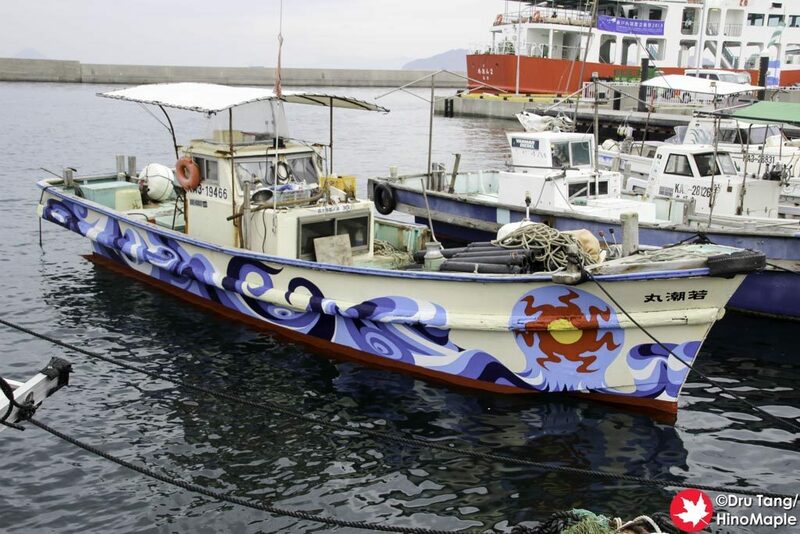 I hope that 2019 will bring a lot more but thankfully since the boats are around all the time, you should be able to see them anytime you visit Ogijima. 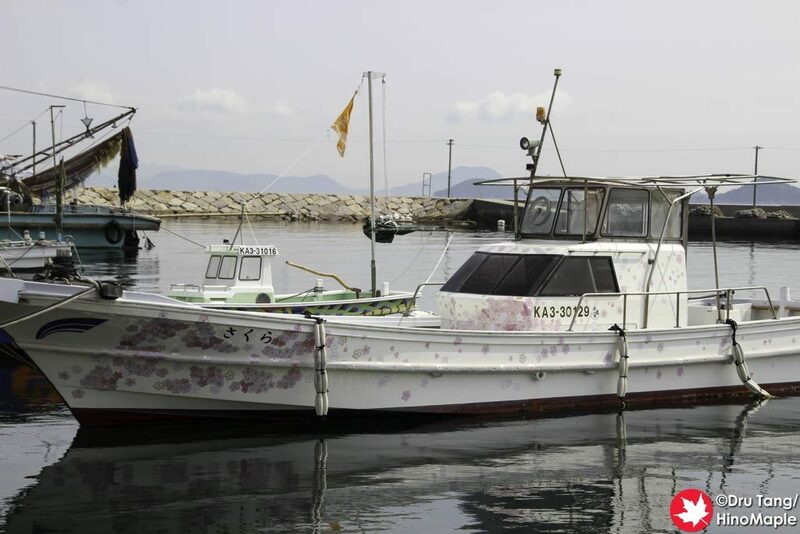 This entry was posted in Setouchi Triennale and tagged fishing, Fishing Boat, Flag, japan, Kagawa, OGI PROJECT, Ogijima, Setouchi Triennale, Takamatsu by Dru. Bookmark the permalink. As you may know, Team Ogi and Ogi Project are close to my heart. Three of the boats belong to friends (the first two on your post, plus the only one you’re missing) and I rode a fourth one (the last one of the post). Yup, I knew it was pretty close to your heart. Hope to see something different next year.